"This is what I think Wind Waker would look like on the SNES," writes gilamasan, the guy behind this piece of Zelda fanart. 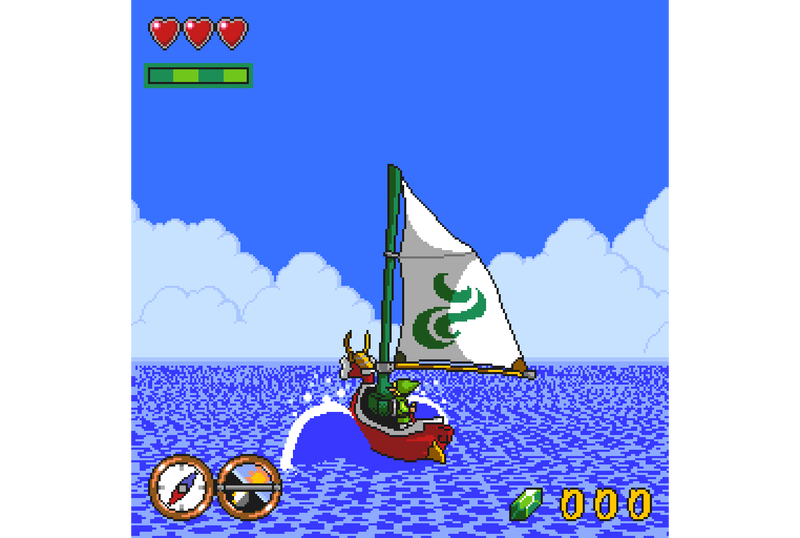 "I imagined the sailing would be done with Mode 7 graphics like in Super Mario Kart and F-Zero." Looks about right to me. Head over here to see more of gilamasan's artwork.